Applicants must read and meet the following criteria and complete the following instructions to be eligible for Legacy Scholarships. The application period closed on Dec. 1, 2018. Check back in fall of 2019 for information about Legacy Scholarships for students attending Washburn in 2020-21. Applicants must be Washburn alumni or Washburn legacies. What is a legacy? An applicant is a legacy if he/she has a parent(s), sibling(s), grandparent(s), or a spouse who is either a graduate of or is attending Washburn University or Washburn Institute of Technology (Washburn Tech). Applicants must re-apply each year for the Alumni Legacy Scholarship. Undergraduate students (full-time and part-time), graduate students, international students and incoming 1L (Washburn Law) students who meet the scholarship criteria are invited to apply. If applicant is a Washburn graduate and is enrolled or is enrolling for graduate classes at Washburn, he/she must be a current dues paid member of the Alumni Association. Membership must be finalized prior to the scholarship deadline. If applicant is a legacy student, his/her alumni parent(s), sibling(s), grandparent(s), or spouse must be a current dues paid member of the Alumni Association unless deceased. Membership must be finalized prior to the scholarship deadline. If applicant is a current Washburn University student, he/she must be a current dues paid student member of the Alumni Association. Student membership rate is $10 per year. Membership must be finalized prior to the scholarship deadline. Washburn Tech students, incoming transfer students and incoming freshmen are not required to be student members of the Alumni Association. College applicants must be enrolled in a minimum of six credit hours at Washburn University and have a minimum cumulative college GPA of 2.5. Part-time students enrolled in 6-11 credit hours are eligible to receive half the scholarship amount awarded to full time students. High school applicants must plan on enrolling at Washburn University or Washburn Tech for the fall 2019 semester and have a minimum high school GPA of 2.75. High school applicants must be seniors entering Washburn University as freshmen in the fall of 2019. Applicants must complete and submit the alumni scholarship online application by Dec. 1, 2018. The form will be available beginning Sept. 15, 2018. A biographical statement that includes your educational background, financial need, a statement of goals and objectives for obtaining a college degree or technical certification and other pertinent information (250 or fewer words). Email documents to legacyscholarship@wualumni.org. If you are a current first year student and have no previous Washburn coursework, please submit an unofficial copy of your high school transcript in place of an unofficial Washburn transcript. The high school from which you will graduate if you are a high school senior about to enter Washburn as a freshman. To ensure your transcripts and biographical statement are able to be viewed, please do not use a shareable format such as Google Docs. If a standalone copy of the transcript cannot be downloaded, it typically works best to copy and paste the transcript into a Word document, save that, and then attach the resulting file to an email sent to legacyscholarship@wualumni.org . A separate transcript must be included with your application materials. The Washburn Alumni Association and Foundation does not have access to transcripts previously submitted to the office of Admissions or the Financial Aid office. All application materials must be received by the scholarship deadline (Dec. 1, 2018) for consideration. Scholarships will be disbursed in two equal payments, one half in fall 2019 and one half in spring 2020. Submitting a scholarship application does not constitute a guarantee of receiving a scholarship. Please note, applying for assistance through Washburn's Financial Aid Office or applying for general university academic scholarships does not constitute your application for an Alumni Association scholarship. You must file this online application through the Alumni Association. You will receive a confirmation email upon submission which will verify receipt of your online application. All application materials must be received by the Washburn Alumni Association no later than Dec. 1, 2018, for consideration. Required Alumni Association membership(s) must be finalized prior to Dec. 1, 2018. A committee will review all applications and screen them based on the minimum requirements listed above. Applicants who do not meet the required qualifications will not be considered. Applicant must be available for a personal interview if called upon. All applicants will be notified by mail at the current address provided no later than May 1, 2019, regarding scholarship decisions. Scholarships are paid to Washburn University. There are many ways to help fund legacy scholarships. 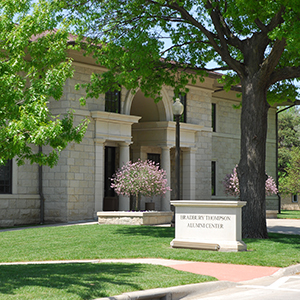 A portion of Alumni Association membership dues, proceeds from the Washburn University license plate program and registration fees for Alumni Association events help fund the scholarships. You may also chose to make a gift directly to the Alumni Association Scholarship Fund.